In my current job function I witness the complications with using paper documents and forms. I knew there had to be a better way to communicate within our company and with our customers. We digitized our sales presentation to customer but had to fill out up to nine different forms to complete our contracts. Many of these forms had redundant information, which added dead time to the meeting. Our sales people would often be missing one or more of the forms at the time of the meeting, which lead to additional meetings and time taken to complete the sale. I found a software program that would allow me to create a digital binder with all of our documents. That program also allowed me to make those documents into fillable forms that could be digitally typed, signed, saved, and emailed. The digital binder allows for the addition of multimedia files and links to websites. The thought of saving countless amounts of paper, cost of printing, and time filling out forms was something that I want to share with other organizations. This brought on the creation of One Tree Docs. 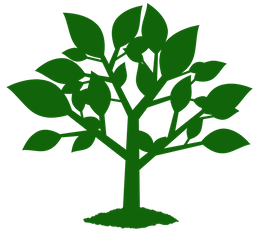 We can reduce the amount of paper we use and use some of the proceeds of One Tree Docs to plant new and conserve existing trees. I’m not sure where this all goes but I’m really to find out!